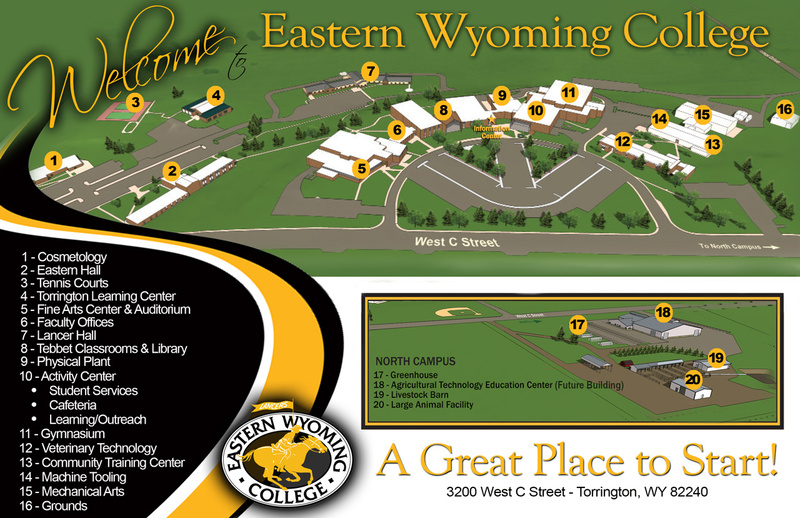 Career Pathways Programming - Eastern Wyoming College - It's A Great Decision! In order to assist individuals in identifying a career pathway, all students in our Adult Education program complete career assessments at onetonline.org. The results of these assessments will place students into one of the career clusters shown in the chart below. Please click on the chart to view each career cluster. Student results from the career assessments become part of a students permanent file and are also shared with the Wyoming Department of Workforce Services, Vocational Rehabilitation, and Wyoming Family Literacy once appropriate release forms are completed. Students use these individualized results to research various careers in an identified pathway while instructors tailor instruction around a specific career pathway whenever possible. In order to provide students with more opportunities to learn the skills needed for a specific career, the Adult Learning Center at EWC offers a variety of options to students. Participants learning experience in this program will provide them with the opportunity to develop a deeper understanding of the responsibilities and expectations of a specific career through hands-on learning. Placement into this program is dependent upon local workforce availability. The program is run in conjunction with the Wyoming Department of Workforce Services and includes resume writing, job interview skill development, and the appropriate use of other social capital skills as needed for careers. This class allows students to explore job requirements in various career pathways. The student is expected to treat the ‘job shadow’ position as a real employment opportunity and will be required to utilize appropriate social capital skills and dress in a manner appropriate for the position they will shadow. The student will be eligible to participate in a job shadow upon completion of the Adult Education ‘Start Smart’ course and the enrollment and orientation processes through the Wyoming Department of Workforce Services. Through consultation with local employers, the student will complete 12-20 hours of on-site job shadowing where the student will learn about a specific job by completing the work day as a ‘shadow’ to a competent employee. The job shadow experience is an unpaid exposure to a workplace in an occupational area of interest to the student. This course is designed to provide students with a work related experience in an identified career pathway. The internship or apprenticeship may be paid or unpaid, depending upon employer preferences. The student must consult the Adult Education instructor in their area before enrolling in this course. The course will emphasize concepts, skills, and attitudes needed for employment in various careers. Students will learn through ‘hands-on’ experience the roles and responsibilities associated with the position. The course requires a minimum of 30 hours of work experience; however, actual internship/apprenticeship hours will be predetermined by the employer. Students will complete a resume, job applications, career assessments, a letter of application, and other Adult Education requirements prior to enrolling in this course. Participants may choose five credits from a selected list of CTE accredited college courses to concurrently enroll in while enrolled in Adult Education. The primary objective of this program of study is to allow participants who have, through career planning, indicated an interest in attending post-secondary but remain undecided in a career pathway, the option to explore various career and technical education courses. Qualified participants who have a more defined career plan will be permitted to enroll concurrently in an accredited CTE program of Study at Eastern Wyoming College while completing other Adult Education courses. Workforce literacy courses are designed to meet the needs of local employers and enrolled participants. Social capital skills, computer literacy, academic skills, and other work readiness skills are addressed. The primary objective of this program is to address the skill subset of employees in order to meet local workforce needs.